Back in October, Richard Byrne wrote "What I Learned From 5,000 Blog Posts." I missed this post until today when it came across my Twitter feed from Paula Naugle (Twitter @plnaugle). Although I've not blogged nearly as much as Richard and my blog couldn't possibly hold a candle to the amount of monthly traffic his receives, I'm happy and proud of the little niche I've created for my voice over here. I wanted to add a couple of my own "lessons learned," but when I tried to comment I saw that the comments for the post were closed (most likely SPAM protection), so I decided to bring my thoughts over here. Don't be afraid to go back and edit; even after you've published. The nice thing about blogging is having the ability to go back and edit your work. If you misspelled something or your grammar was poor, just go in and edit. If you substantially change the context of your post, you should indicate so in your post by adding a small "Update" blurb, or strike through the previous text and add the new text. About growing your audience, Richard suggests publishing often and keeping it short. I agree with both of these suggestions, although I've not always been able to stick to them (especially the publishing often part). I have to be inspired in order to write a post, so a week or two could pass before that happens. Sometimes (lately), I will post more frequently. Another reason why I may not blog as often is that it takes me a few hours to write a post. This goes back to what Richard said about worrying about spelling and grammar. He spends less time worrying and more time writing. Perhaps I should heed his advice. As for keeping it short, anytime I've been asked to blog for other publications such as Huffington Post or Secret Life of Scientists, they've always suggested posts that are less than 500 words. On the other hand, sometimes you have a lot to say, for example this post is WAY over 500 words. It's OK to break the rules. "Criticism comes with the territory of blogging. Keep on blogging because in two weeks the blog-o-sphere critics will be on to a new topic," says Richard. Richard is right-on with this one! I try to have thick skin, but as Richard stated in his post, it does hurt when people take jabs at you rather than stick to the subject. Don't feel compelled to respond to every comment. Sometimes no response is the best response. On the other hand, DO try to respond to some comments. Those who take the time to leave a comment on your blog, do like to know you're at least reading them and are appreciative of their interest. More about growing your audience. Don't be afraid to share your post on Facebook, Twitter, Google+, Plurk or anywhere else you hangout online. Lots of people don't even use RSS readers anymore and are depending on their social networks to find good stuff. 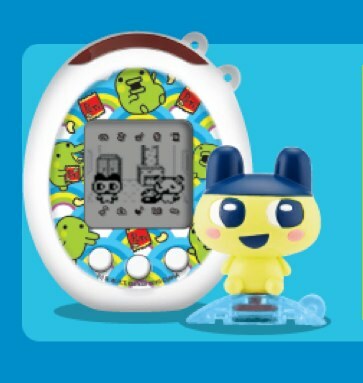 Remember Tamagotchi® ?Tamagotchi are those dumb electronic "toys" that have to be played with and fed or they will "die." My kids had them years ago and although I thought they were dumb, they were crazy about them to the extent that while they took their swim lessons, I was feeding and rocking their Tamagotchi. In this sense blogs also have to be nurtured and fed. I suggest you do your part and read and comment on the blogs of others. Find new conversations and try to expand to new lesser-known voices. Commenting on other people's blogs will bring commenters back to your blog. Commenting via Twitter is nice but tends to frustrate a lot of bloggers who end up with comments all over Twitter and very few at the site of their post. Best bet? Comment on Twitter, Re-Tweet the post if you like it, AND comment at the post. This will also help grow your audience. Part of nurturing the blogosphere is providing links in your posts wherever possible. This is not only helpful if someone wants to learn more, but it's also courteous. If you mention someone who has a blog or other online presence, it is generally considered the right thing to do to provide a link to their space. Don't pigeon-hole yourself into a particular style. Post (embed) a video that caught your attention, create a list of favorite things, post one of your favorite lessons for teaching something or share a story one of your students wrote (be sure you have permission and be careful about using real names and photos). Sometimes, if we feel it's not appropriate for the space we've created, then we tend not to share it. "Hogwash," I say. It's OK to write when you're upset. Often the most passionate posts generate the most thought-provoking conversations. Just be careful about how rant. Let someone you trust (not someone who tells you everything you like to hear) proofread for you. If you don't want your parents, students, principal or the police to read your post, then don't publish it. Follow the Golden Rule of writing while angry. Write it and put it aside until you've cooled down, then read it again. If you still like what you've read, go for it. Disclose and avoid any appearance of impropriety. Richard mentioned this, too. People are funny about this, and rightly so. When you mention a company or recommend a service, it may APPEAR that you are promoting their product; maybe you are and maybe you aren't. But unless you say so, people don't know and may file your post under S for "Skeptical" or worse yet, "Slimy." If you are being paid for a post-related task, be sure to be clear about it, as I was here. If you have other corporate relationships, it's best to disclose them. My disclosure statement is on my About Me page. Kevin Jarrett does an excellent job with his disclosure statements. Happy New Year and remember to ask lots of questions! Lee, I nodded so many times during this post. Do check your spelling but don't let it rule you, I still take people seriously even if they misspell words. Also to blog with passion and sometimes those passions are not what others want us to say. I have taken heat several times and have disagreed with many people whose blogs I otherwise love; it is what makes blogging exciting. Thank you for this great post. Lee, I agree with Pernille! This is a great post with lots of good ideas. I found myself nodding along many times too, I liked your comment about responding to other comments. I try to reply to all of the comments on my posts, but sometimes I have nothing more to say than, "thank you." Maybe then it's best not to comment at all, or just make a general comment thanking everyone. I am a bit wary of stepping into that blogging arena. It can seem pretty ominous. I truly appreciate a good, well written blog however, and I often read yours. I didn't realize it until you put it in print but I find myself getting pulled into a blog via Facebook or Twitter more often than by my RSS Feed. The picture is also critical to gain interest. Thanks for another great post! I make use out of all of your links as well! Lee, thank you for the kind words. I learned what I know about disclosure stuff from Steve Dembo. Happy to pay it forward. :) Have a great 2012! Thanks, Lee. I've been following you and a few others on Twitter and have learned so much. It's become my new PD resource, and I'm finding so many things to share with colleagues. Thanks, also, for the blog posts. Thank you for the sharing my post and sharing your thoughts on blogging. Thanks for this article. I'm still relatively new to the social networking scene. I sometimes get the feeling I'm doing things incorrectly - but I guess I'll learn over time. The analogy to the Tamaguchi is great.